A giant soil landslide named Boli landslide occurred on the right bank of Taozi Gully, a branch of the Jiami River in Taozi town, Sichuan Province, China, at approximately 5:40 am local time on 19 July 2018. The landslide destroyed 186 houses and nearly 300 acres of agricultural land in Boli village. Real-time evacuation was successfully implemented to avoid casualties of 281 people among 65 settlements due to the effective warning. 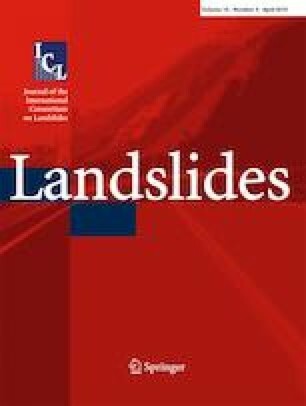 This study revealed the typical characteristics, the cause, and the failure mechanism of Boli landslide on the basis of multi-temporal remote sensing images, field investigation, and analysis of the landslide soils. A simple, effective, and scalable community-based early warning system was also proposed in the study on the basis of real-time evacuation in response to landslide hazards in mountain in near future. Moreover, the experience and the effective risk avoidance mode of this study can be used by the concern parties to improve the disaster prevention and countermeasures of poor mountainous areas. This research is financially supported by the National Natural Science Foundation of China (Grant No. 41861134008), the National Key Research and Development Program of China (Project No. 2018YFC1505202), and the Foundation of Institute of Mountain Hazards and Environment, CAS (Grant No. SDS-135-1705).